For foals and lactating mares being fed with their foals . . . Purina® Omolene #300® Horse Feed contains the Purina® Amplify® Nugget, a patented, high fat, extruded particle that contains a proprietary blend of vegetable oils, flax seed and rice bran for an optimal fatty acid profile. It also contains a blend of amino acids and polysaccharides as found in mare’s milk for optimal muscle growth and bone development in foals. Omolene #300® Horse Feed also provides additional protein and calorie requirements for lactating mares. Lactating Broodmares—Lactating broodmares that are fed with their foals should be fed Omolene #300® Horse Feed. Once the foal is weaned, the broodmare can switch to Omolene #200® Horse Feed. Growing Foals—From the time they’re nibbling their mother’s feed until they are one year old, foals should be fed by themselves. But they can also be fed Omolene #300® Horse Feed with their mother or in a creep-feeding situation. Omolene #300® Horse Feed provides your foal with optimal nutrition in its first year. * Purina® Amplify® Nugget – Patented, high fat, extruded particle that contains a proprietary blend of vegetable oils, flax seed and rice brand for an optimal fatty acid profile. 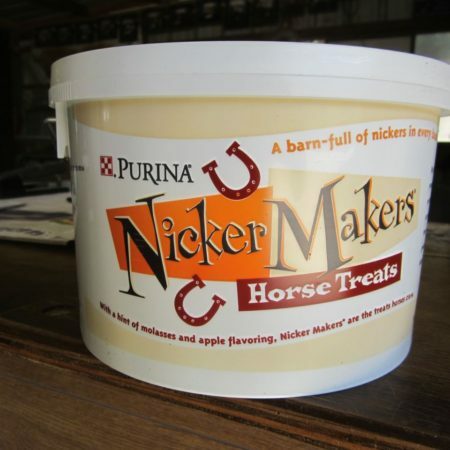 * Fortified with Milk Components – A blend of amino acids and polysaccharides as found in mare’s milk for optimal muscle growth and bone development in foals. 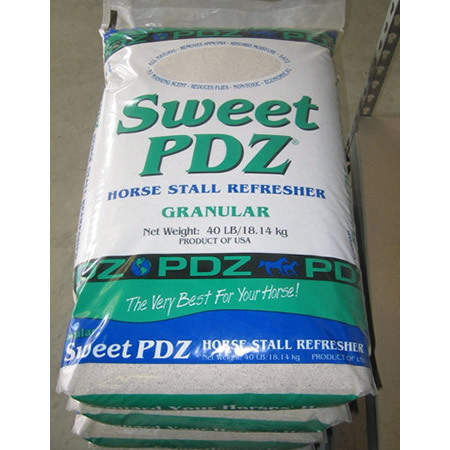 Also provides additional protein and calorie requirements for lactating mares. * Vitamins and Minerals – Provides 100% of the required vitamins and minerals when fed as directed. 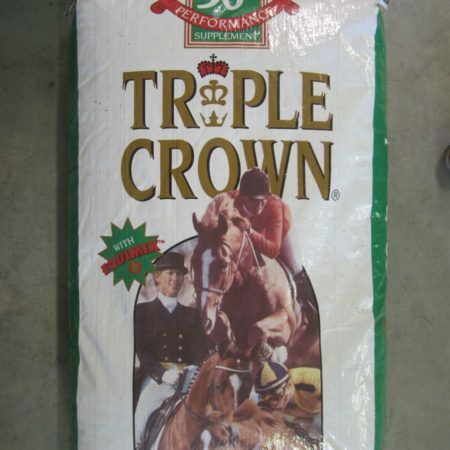 Based on the “Nutrient Requirements of Horses Sixth Revised Edition – 2007” published by the National Research Council. * Incredibly Palatable – Purina® Omolene #300® Horse Feed is an incredibly palatable diet which is excellent for horses who are picky eaters. * Natural Whole Grains – Nutrient and calorie dense blend of natural whole grains for lower feeding rates and less risk of digestive upset. Whole grains are a natural source of antioxidants, phytochemicals and fiber. * Soy-blend Molasses – Instead of using straight cane molasses which is high in sugar, Purina® Omolene #300® Horse Feed contains a unique blend of molasses and soy oil for a higher fat molasses that horses love to eat. * Less Bricking – Blended molasses help to prevent bricking in the winter and drying out in the summer. * Healthier Hair Coat – Contains balanced nutrition and added vegetable oil for a shinier, healthier hair coat as well as better skin and hoof condition. 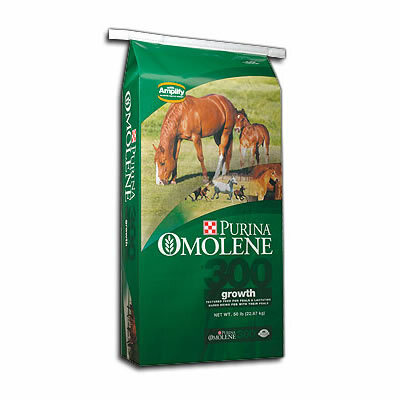 * Feed with Hay or Pasture – Purina® Omolene #300® Horse Feed is designed to be fed with hay and/or pasture. * Feed Guard® Nutrition System – The FeedGuard® Nutrition System is one of the industry’s most innovative and exacting quality assurance programs. FeedGuard® Nutrition System can help deliver the trust, quality and performance that horse professional demand every day. * Feed Omolene #300® Growth Horse Feed according to recommended rates. Individual horse variance may require feeding rate adjustment of plus or minus 10%. Click here for specific feeding recommendations.